Possibly after fighting Cartoon Network’s upcoming Mega Man cartoon and stealing its power, Catfish directors Henry Joost and Ariel Schulman are now in negotiations with Chernin Entertainment and 20th Century Fox to write and direct a feature film adaptation of the Mega Man video games. Heroes actor Masi Oka is also on board as a producer, but that’s all we really know about the project at this point. The Mega Man games do have a story, but it’s the sort of loosely defined thing that doesn’t really require a particularly strict retelling. Basically, a nice guy named Dr. Light builds a bunch of robots, his evil colleague Dr. Wily takes those robots and makes them evil, and then Dr. Light builds a heroic robot boy named Mega Man (or Rock Man, if you’re playing in the original Japanese). 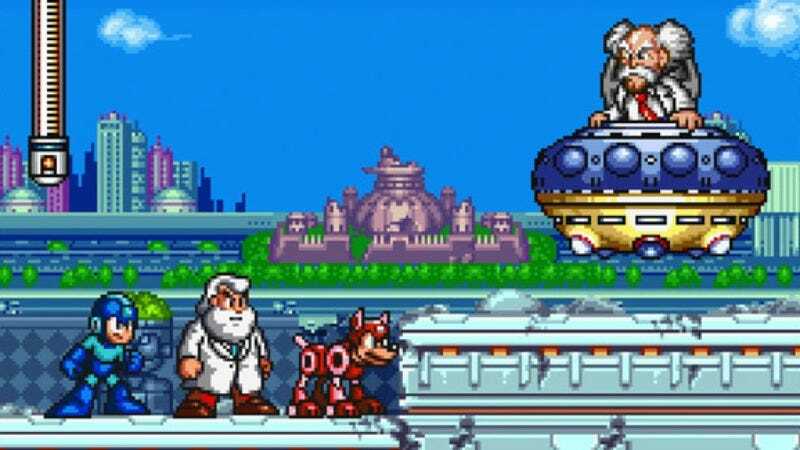 After that, Mega Man kills Wily’s Robot Masters one-by-one in no particular order (unless you know the hot strategies), and then he does it all again nine more times—not counting all of the spin-off games that follow the same basic plot. Joost and Schulman, who also directed Nerve and two of the Paranormal Activity movies, have never really made the sort of sci-fi story that Mega Man seems to demand, but maybe they can turn it into a movie about a robot boy tracking down the Robot Masters to see if they really look like their portraits on the Stage Select screen.